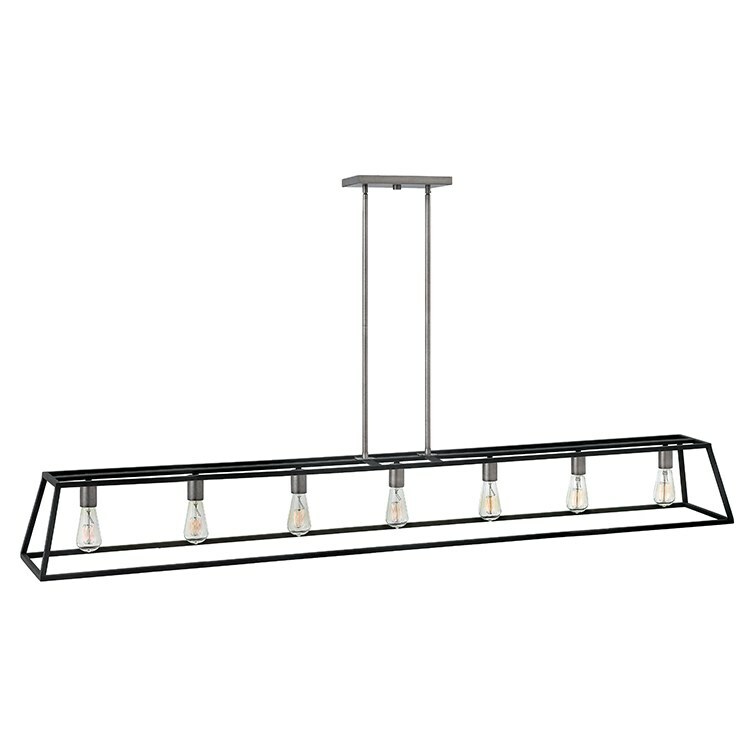 Fulton's minimalist beauty emphasizes less is more with vintage industrial style. 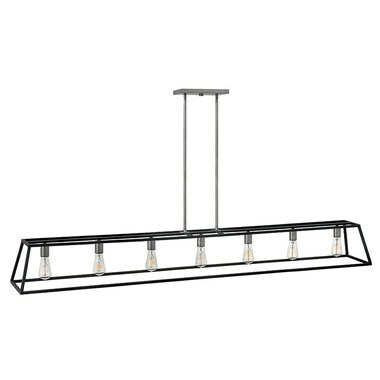 The clean, airy tapered cage design of this seven-light linear chandelier is constructed without glass with unique square candle sleeves that rest on a discreet H-shaped cluster. Includes two 6" long stems and two 12" long stems.